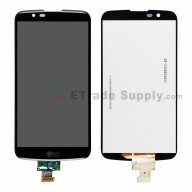 This Galaxy J7 Prime LCD assembly does NOT include the frame. 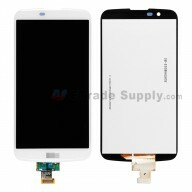 This Galaxy J7 Prime LCD and digitizer assembly is a brand new original replacement. The Galaxy J7 Prime LCD assembly is available in black, gold and white, this is the gold one. This screen replacement is compatible with all Galaxy J7 Prime, please do not confuse. Special repairing tools are required for assembling or disassembling, as the Galaxy J7 Prime LCD display and digitizer are hermetically attached.